Keep your hands sanitized with the Canister Wet Wipes. 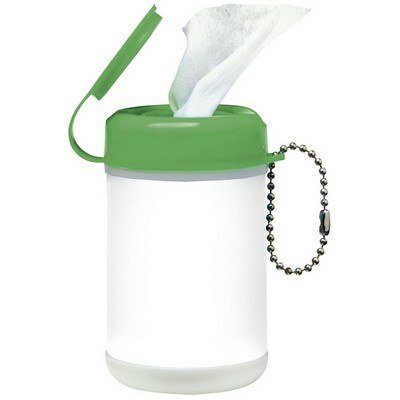 It has antibacterial disposable wipes in a can sized container with a snap closure lid. 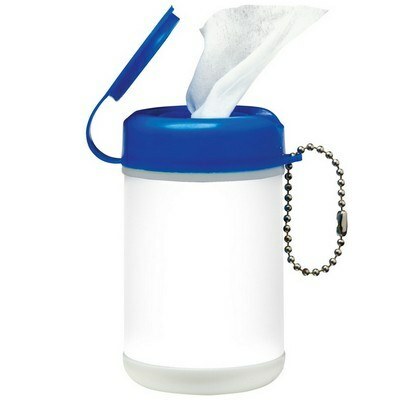 Keep your hands sanitized with the Canister Wet Wipes. 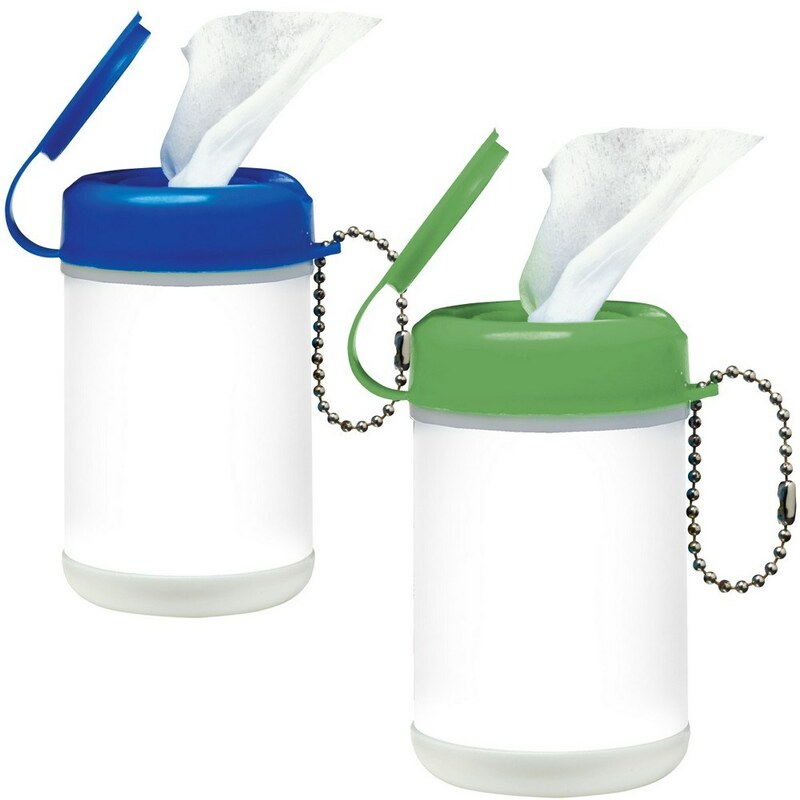 It has antibacterial disposable wipes in a can sized container with a snap closure lid. It has a gently scented and alcohol-free formula. Each can contains 24 wipes and meets FDA requirements. 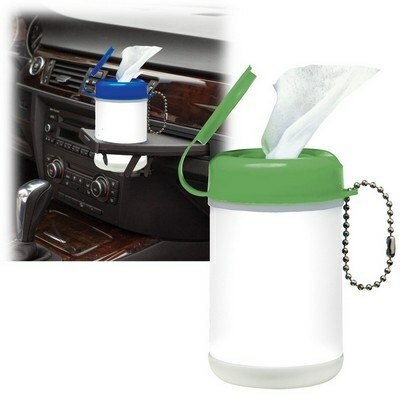 It is a useful item to have in your car and is designed to fit in most car cup holders. It includes an attached ball chain. Shipping options are available to US addresses only. Customize the wet wipes with your company’s logo to help promote your brand better.